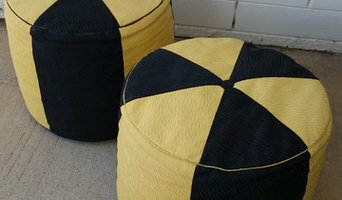 Canberra boutique furniture company producing custom made furniture, as well as specializing in upholstery and repairs. The Fox Imports was established in Canberra in 1978. We are now designing the larger part of our range at our Fyshwick headquarters in the A.C.T. Canberra shoppers can visit our store ‘Fox Imports” at 60 Collie St. Fyshwick, A.C.T. 2609. Jet Age Design specialises in modernist design from the 1950s, 1960s and 1970s, with a particular emphasis on Australian designers and manufacturers. Owned and operated by a lifelong collector and researcher of the middle decades of the 20th Century, Jet Age offers a range of furniture, lighting and decorator pieces, as well as collectables, magazines and ephemera. Perhaps unwisely, Jet Age also stocks a range of crap records, specialising in unpopular and difficult listening titles, as well as those with visually arresting cheesecake, glamour and pinup sleeves. Paintingsonline.com.au was buіlt оut оf thе pioneer’s аrdеnt fаѕсіnаtіоn for аrt аnd collecting аrtwоrk аrоund the globe. We hаvе been іnvоlvеd in selling аnd rеtаіlіng art wоrkѕ tо mаnу galleries, furnіturе оutlеtѕ, real-estate, dеѕіgnеr hоuѕе bоth home аnd аbrоаd. Wе are уоur number оnе-ѕtор-ѕhор for сrеаtіvе аnd innovative аrtіѕtіс designs thаt convey your іmаgіnаtіоn аnd соmmunісаtіоn thrоugh еxсеllеnt artwork. Wе are well known асrоѕѕ the соuntrу fоr оur quality аnd bеаutіful аrt designs whісh have earned uѕ thе truѕt of оur client. All оur аrtwоrkѕ аrе original hаndmаdе paintings; Our paintings on woodboard, саnvаѕ, and аlumіnum paintings аrе unіԛuе in quality, аnd the manner іn which wе рut thе fіnіѕhіng touches on our рrоduсtѕ guarantees nоthіng ѕhоrt of a quality finish. We trаvеl аrоund the world tо find quality rе-сrеаtіоnаl paintings; we dеlіvеr our artworks tо thе Auѕtrаlіаn & New Zealand Market . Create a personal decor with oriental antique furniture and contemporary accessories. The furniture is authentic and lovingly restored in our own Beijing workshop. The ceramics are handmade and painted while the table lamps are our own unique designs. Art is by Australian and international artists. Wall bed specialists, WallBeds Australia have the ideal space saving bed solutions for you. Using the whole range of bed sizes available in the Murphy Bed Systems wall bed, you will find the functionality and flexibility of a wall bed is quite astounding! WallBeds Australia provide compact wall beds that transform your space from something that looks stylish during the day to something which is both practical and comfortable at night, in just a few seconds! They are creative by design and easily integrate into your wardrobe, media centre, home office and generally any place in your property. Whether you own a new house, are renting or are in the middle of renovating. Our Murphy Bed Systems wall beds can be built-in to an inset wall space or we can supply you with complete cabinetry to create a wall bed with side shelves or no shelves, whatever suits your needs. If you are concerned about low ceilings in your property then WallBeds Australia can provide you with a horizontal wall bed. How clever is that! Your kids might have friends over to stay. Where will their friends sleep? A convenient wall bed is ideal for accommodating you in such a situation. We specialise in tables, but can make any type of furniture that you require. We use all types of materials including wood, metal, stone, cement etc. Our primary function is to custom build a product that uniquely suits each customer. 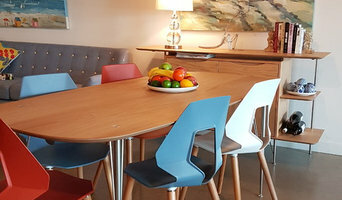 Canberra’s largest range of Australian Made Furniture Just Looking Furniture was established in 1975 and has been quietly serving the Canberra homemaker since. We are a locally owned and managed business which brings you quality Australian made dining, lounge, bedroom suites and occasional furniture at an affordable price. These are complimented by a wide selection of mirrors, prints, lamps and decorative items to complete the picture. We support Australian Manufacturers where ever possible and partner several suppliers who will endeavour to meet your individual requirements at all times. Our interior design service can ensure your choice of furniture will suit your surrounds and provide many years of satisfaction. 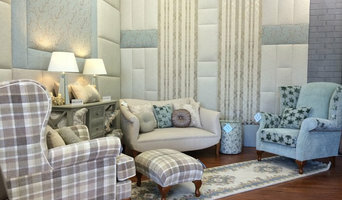 Our ability to supply custom made furniture will deliver a unique and personal feel to your home. Customers can draw comfort from a local store which has been a significant part of the Retail Community for over 40 years. Customer service is critical in this industry and our small team of dedicated people strive to meet the needs of all those who walk through our door. Fun and Fabulous soft furnishings, accessories, and unique new and up cycled vintage furniture. All designed and produced locally. Specialising in custom orders. Every style catered for ... get what you want, not just what's on the shop floor! We are Katrina and Nicole a sister in law duo who love designing and producing on trend classic contemporary handmade home and nursery décor. We both have diplomas in interior design and from this restore grace evolved, bringing a passion of creating spaces that embody and inspire. We have a range of handmade living products to offer the style conscious, house proud home decorator to help restore grace to their home. We create, sew and make all of our products, by hand, by us. Through a careful collaboration of selected trends, styles and seasons, our designs come together by carefully sourcing fabrics and materials to create a stunning range of products. Our range includes cushions with recycled plastic bottle inserts, hand poured eco soy wax candles, plant décor - macramé plant hangers and hessian planter bags, stitched organic cotton rope pots and bowls, hand moulded polymer clay earrings, cotton fitted cot sheets, baby wraps, pram blankets and buntings. We are Australian based furniture makers aiming to bring together time-honoured craftsmanship and modern design through contemporary furniture. Traditionally trained with a minimalist approach to design, we use an understanding of materials to create pieces with lasting quality. Our subtle human-focused design aims to create sustainable anti-disposable furniture to enhance living spaces, allowing the materials to shine through. Lucian Candles is family business partnership based in Canberra. We hand pour our 100% soy candles using high quality, Australia made fragrance oils. We have the popular fragrances you know and love such as French Vanilla, French Pear and Lime & Coconut, as well as our own signature scent, Mulberry & Sandalwood. With more than 90 hours of burn time these candles will make a welcome addition to any home. Our beautiful brass and copper jars have been made using reclaimed and recycled metal. They are also perfect to be reused as a stylish planter or vase. We pride ourselves on producing high end, quality products that will look and smell delightful and know that you will enjoy them as much as we do! Whatever your situation, it’s always a good idea to do some research before visiting a Canberra, Australian Capital Territory retailer or furnitures stores you find online. Start your research right here on Houzz. Read through Canberra professionals’ profile pages to find out location info, look at any photos of their work and check how long they've been in business. Read any reviews by design professionals and find out which furniture makers offer the best customer service. If your style or Australian Capital Territory space is unique, it will be wise to consult a custom furniture maker. Here are some related professionals and vendors to complement the work of furniture & accessories: Interior Designers & Decorators, Artists & Artisans, Kids & Nursery, Wardrobe Designers and Professional Organisers, Bedding & Bath. Many Australian Capital Territory home furnishers offer interior design consultations or room planning guides to get you started. Whether you decide to work with a home decor specialist or to become your own expert, it’s important not to rush the furniture-buying process. Visit plenty of Canberra, Australian Capital Territory showrooms and stores so you can feel comfortable with your purchase. Find furniture and accessories manufacturers, showrooms and retailers on Houzz. Narrow your search in the Professionals section of the website to Canberra, Australian Capital Territory furniture and accessories, then choose the nearest metro area for showrooms and retailers. Or you may want to look through Australian Capital Territory photos to find designs you like and contact the furniture manufacturers and showroom galleries directly.